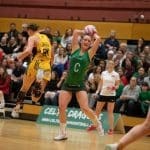 Celtic Dragons is pleased to announce that its popular netball masterclasses have returned for 2019! 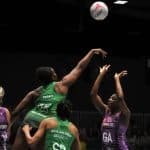 The masterclasses, taking place in Sport Wales, Cardiff this February half-term will be run by two of Celtic Dragons most exciting players: GA Kalifa McCollin from Trinidad & Tobago and GK Stacian Facey from Jamaica. The classes will equip young players with some amazing hints, tips and skills and give them a chance to meet two fantastic players who will be taking centre stage at the upcoming Netball World Cup. Spaces are strictly limited and cost £35 per person for Welsh Netball members. Non-members can attend for £41. Stacey and Kalifa look forward to welcoming you to a Celtic Dragons masterclass very soon!